During performances, quiet is enforced. Superb alto saxophonist Christopher McBride has been slowly but steadily turning heads with his ubiquitous work as an invaluable sideman since the mid-aughts. Now Christopher is gaining respect amongst fans, critics and his peers as one of the most versatile musicians in the world. His 2012 debut album Quatuor de Force certainly establishes his ability to front a group and write his own soulful, melodically indelible tunes. 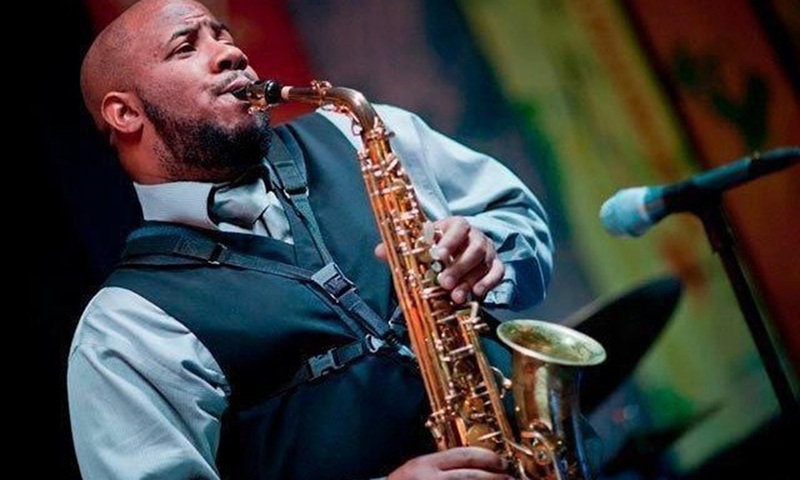 Applauded for his ability to play in all musical situations, McBride has the ability to unleash a fiery attack and serrated tone, but on his recent album he explores a more measured, mellow sound heavily influenced by contemporary R&B—with a strong shot of Cannonball Adderley’s post-bop sensuality–but his improvising is very rigorous and cogent.